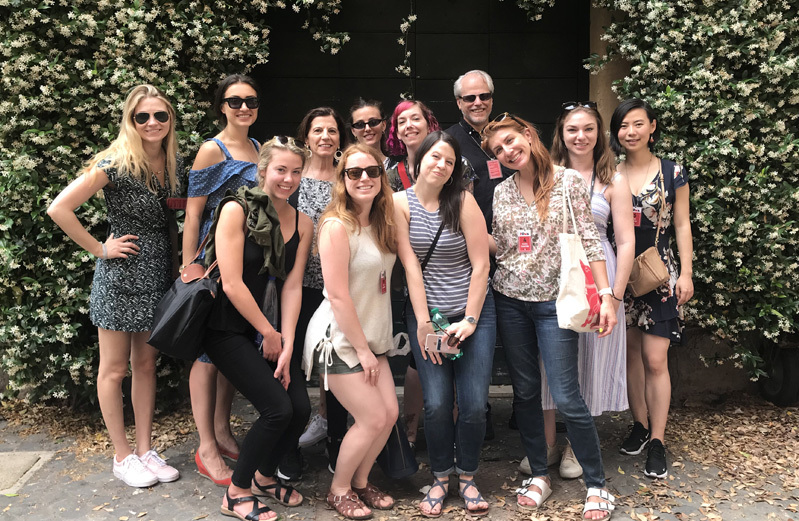 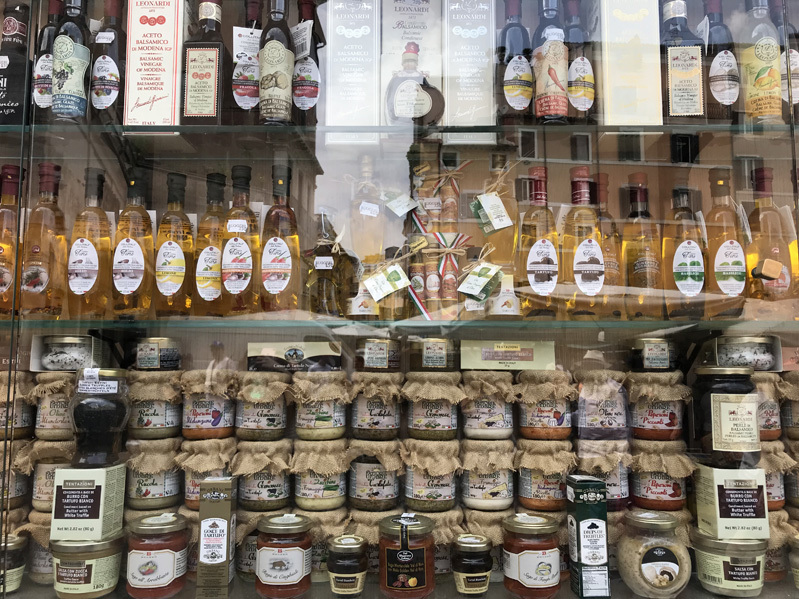 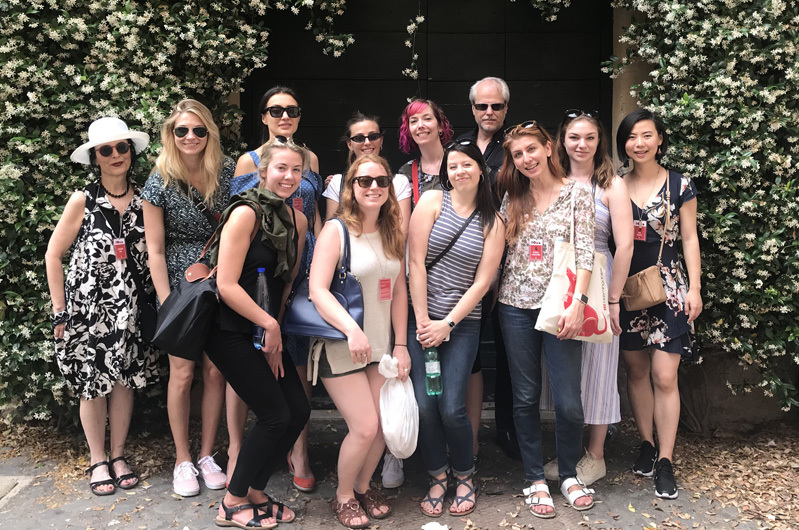 On this beautiful Rome late Spring day, the Workshop participants make the ultimate sacrifice: They take to the streets with Louise Fili and Lita Talarico in search of rare, beautifully rendered and vernacular signs. 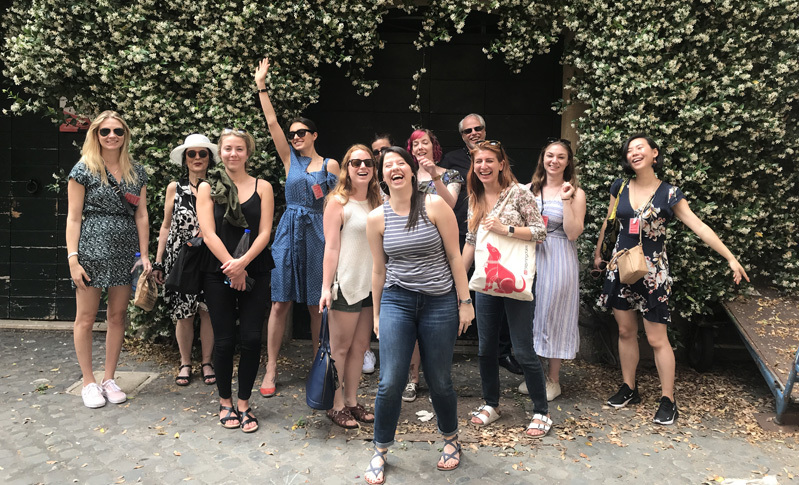 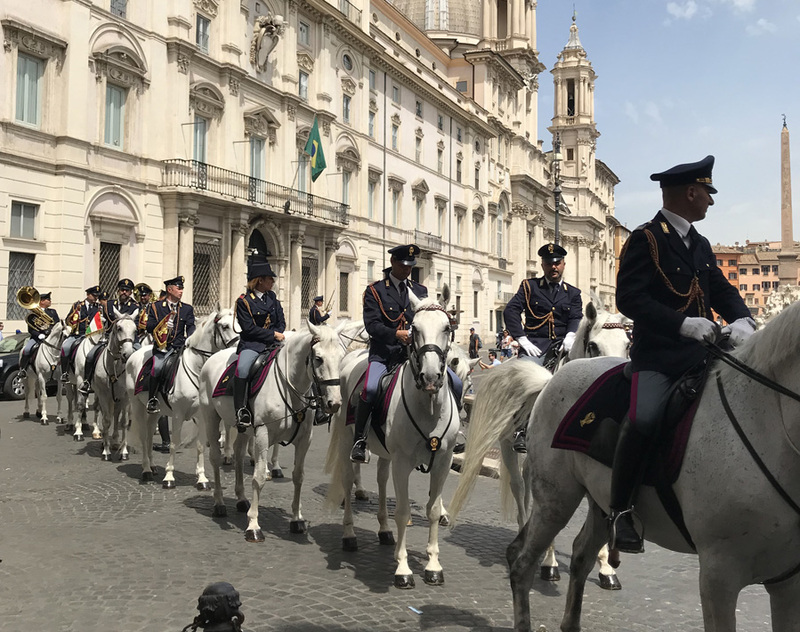 No one got lost and everyone began the process of thinking about what makes Rome so Roman — and, of course, what their projects will evolve into. 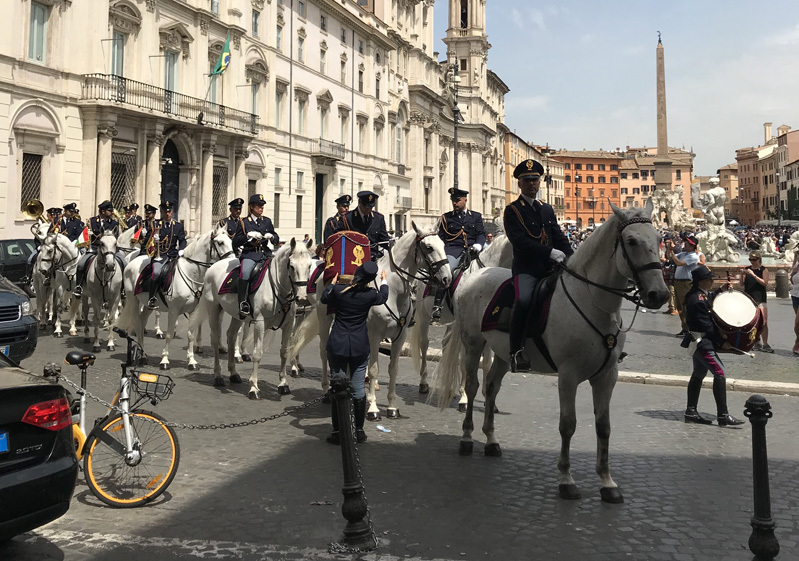 Here’s the group and a parade of mounted police they encounteerd.